What Is An Endovascular surgery? 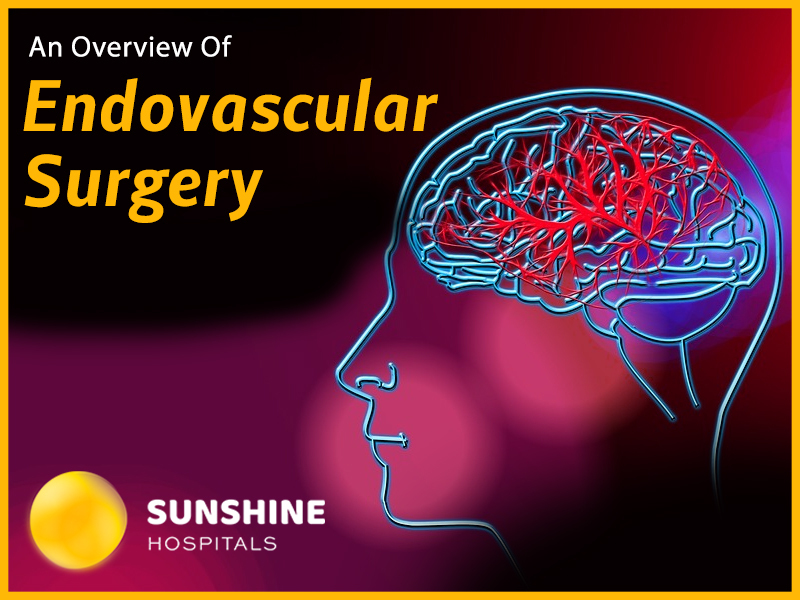 Endovascular surgery is an inventive, minimally invasive surgical procedure which usually treats problems related to the blood vessels or arteries, such as an aneurysm, which is a swelling of the blood vessel. In simple Words, it is a surgery performed to repair the damaged blood vessels. An aneurysm is said to be a weak area in the wall of an artery which leads to a balloon or bulge shaped structure in the artery of the brain. Gradually the wall becomes thinner than the rest of the arteries and is at risk of breaking. If the aneurysm blows, then there will be bleeding in the brain. The condition can be treated through endovascular coiling. It is a minimally invasive technique performed to block the flow of blood into aneurysm without opening the skull or performing any brain surgery. During endovascular coiling, a small catheter is sent through the groin up into the artery that contains the aneurysm. The coils (made of soft platinum metal, and are shaped like a spring) are inserted in a catheter and sent through the large arteries of the body and into the arteries of the brain. The coils are left permanently in the place of aneurysm and seals off the opening. Depending on the size, sometimes more than one coil is inserted to completely seal off the aneurysm. Recovery times vary from patient to patient, the location of the aneurysm, and whether the aneurysm ruptured. In most of the cases, patients with unruptured aneurysms recover within a month. If the aneurysm is ruptured, it may take weeks to months to recover. Arteriovenous malformation (AVM) is referred to as an abnormal connection between arteries and veins. The arteries are responsible to supply oxygen-rich blood from the heart to the brain and veins are responsible to carry back the oxygen-depleted blood to the lungs and heart. This vital process is disturbed by a brain AVM. AVM’s can develop anywhere in the body but often seen in the brain or spine. This condition is rare and can be treated through endovascular surgery said to be Endovascular embolization or Embolotherapy or Endovascular therapy. In this procedure, a thin tube (catheter) is inserted into your groin and threaded up via blood vessels to the brain AVM. It is minimally invasive surgery performed neuroradiologists or neurosurgeons. The catheter is positioned along one of the feeding arteries to the AVM. Now an embolizing agent i.e., an injection of glue or other non-reactive liquid adhesive material into the AVM in order to reduce the flow of blood into the AVM. As the glue injected into the AVM rapidly hardens the flow of blood through the AVM is blocked. In some cases, endovascular embolization for large brain AVMs may be used to reduce stroke-like symptoms by redirecting blood back to the normal blood vessel. Chances of a cure with embolization alone are about 20%. Carotid-cavernous fistula (CCF) is an irregular connection between the carotid arteries and veins within the cavernous sinus in the skull. This cavernous sinus is located back of the eye and receives blood from the brain, and pituitary gland. A carotid-cavernous fistula may have low rates or high rates of arterial blood flow. CCF’s might be developed due to closed or penetrating head trauma, fracture of an intracavernous aneurysm, surgical damage, or due to connective tissue disorders, dural fistulas and vascular diseases. Patients with these CCF’s usually have chronic red eyes, pulsatile exophthalmos (abnormal protrusion of the eyeball), and ocular bruit (blood flow sounds coming from the eye), proptosis, diplopia, and visual loss etc. The primary treatment for CCF is endovascular therapy, and this may be transarterial (in most of the direct CCF cases) or transvenous (in most of the indirect CCF cases). The treatment options include by placing a covered stent and coiling of the fistula from a transarterial route with the stent assistance and preserves the internal carotid artery. If a transarterial route is not possible, a transvenous approach may endorse by using platinum coils. Sometimes indirect CCFs can be resolved spontaneously. Manual carotid compression might opt in case of low-risk CCFs because it can cure almost 30% of the fistulas. Patients with retrograde filling of the cortical venous system should be treated by a transarterial or transvenous approach, as they at the risk of intracranial haemorrhage. No matter which procedure we choose, we have an expert team of doctors and resources to perform a successful surgery. We, Sunshine Hospitals always strives hard to reduce the complications for the best outcome and long-term health of our patients. If you are suffering from any neurological problems contact our experts right away to get the best treatment options.